As with the white L. kelloggii (var. Boyd Kline) and the pink form nursery grown in Switzerland, this rare and unique yellow form also warrents its own listing. 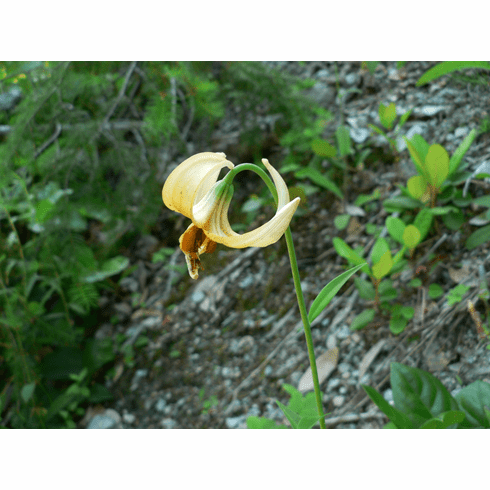 Found in Humboldt County, California by Alan Mitchell of Scotland while on lily safari, this flower had been damaged by insects. Alone and by itself with only the one flower, there were no other specimens to choose from for photography. Insert shows this lily on closer inspection. Title photo and insert copyright Alan Mitchel of Scotland, all rights reserved. Used with permission.